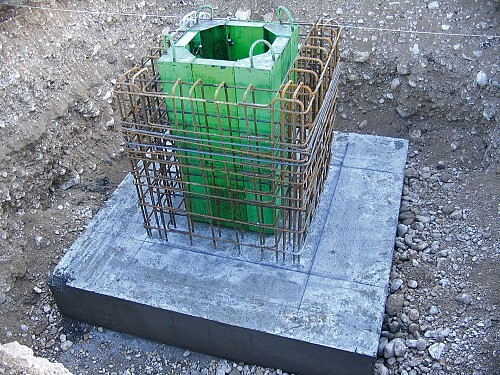 When it is necessary to realize bases for plinths, the Faresin Formwork equipment enables to realize what the customer needs using its traditional steel formwork and the basic accessories. Thanks to the sliding panel stirrup and the base section it is possible to realize bases with the wished size. 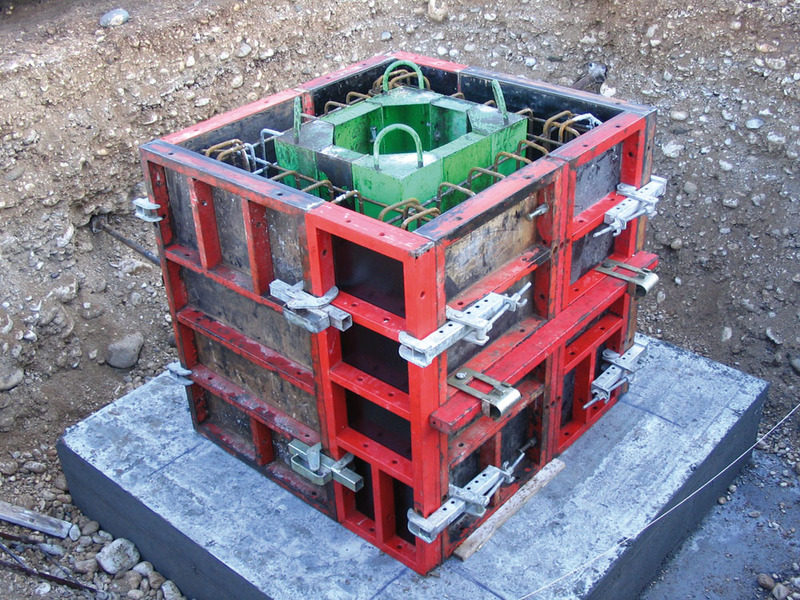 Bells for plinths, pits or similar are realized with the tapered inner corner and sheet shims with different sizes, or 1.50-m high moulds.